Jason is a seasoned financial industry professional leveraging his many years of experience and knowledge to create results-oriented, customized plans that fit the needs of his clients. Jason has been providing strategies for his clients at Freedom First Wealth Management since 2014. Prior to joining the Wealth Management team at Freedom First, Jason was an Investment Advisor & Insurance Agent with John Hancock and Benefits Group for 4 years, and then went on to the banking side of the financial industry as a Banking Center Manager for Bank of America for 11 years. Jason takes pride in providing plans and results that allow his clients to work towards their financial goals. Jason’s biggest strength is building long term relationships with his clients, which keeps them coming back for years, as well as refer others to him. 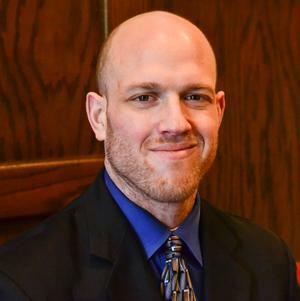 Jason was born in Cheverly, MD and is a graduate of Virginia Military Institute (VMI), Lexington, VA with a Bachelor’s in Economics, and Capella University with a Master’s in Project Management. Jason was an All American football player in high school prior to a major injury causing him to step away from the game. He currently helps clients in VA & MD. Prior to joining the Wealth Management team at Freedom First Wealth Management, Jason has worked in investing, insurance and banking for many years.